Are you happy? Are you rich? Are you success in your life? Are you healthy? Yes, I believe that I myself am success practically in every angle. Is it the reason that I love to listen classical music? Even if you have a lot of money, but you are sick and bedridden, then how can you say that you are success in your life? You are very healthy, but if you do not have any means of living, then what's wrong with you? You are rich, but if you have problems with your family, then how can you say that you are success and happy. Now, I can tell you one of the key for the success of your future life. I am not a fortune-teller. I am just a researcher for the world maladies. And in my study for over 40 years of research, I found the secret key to success in life. You can be rich, healthy, and happy with good family relationship, if you believe in me. If a music you listen and hum and PYRO-ENERGEN treatment can change your life for success, for sure, you want to know how it is. Do you believe that the key to success or failure in your future life depends on the music you enjoy listening and humming? There are people who are rich and successful in business, but failed to have a happy family or to be healthy. There are those who remain poor and unhealthy. There are people who are rich with happy family and good health. Try to analyze them; you will come to know the differences. A survey was conducted to document the difference of the above. First, I tried to gather a simple data from PYRO-ENERGEN users for the diseases they want to treat. However, I failed to collect such data, because many patients hesitated to reveal their sufferings because of privacy, especially for their employment or business reasons. However, by greeting and visiting them time to time, I was able to gather informations about their hobbies, ages, occupations, lifestyles, and businesses. And I was able to gather an idea that music they enjoy listening while they are being treated by the PYRO-ENERGEN is the key whether they will fail or maintain their successful life. Is it really music or PYRO-ENERGEN treatment that can change your lifestyle? For curiosity reason, I tried to research more details of them. Here is an initial view I found that most people who are success in life prefer listening to classical music rather than pop or jazz. Of course, I don't deny that there are few isolated cases of individual who love classic music, yet they remain poor and have an unhappy family with a lot of troubles around. So what does classic and pop music do for us? I believe that it has something to do with brain waves, so I tried to gather datas in cooperation with brain wave test specialists. We also put the PYRO-ENERGEN to the test if it affects the brain wave, too. This is a sample brain wave form when you are listening classical music. You can see that the wave form looks more to that of ideal pattern. From the above four patterns of brain waves, we understand that healthy, happy and successful people have a brain wave similar to what's shown in Figure 4. We never found any successful people with brain waves like that of Figure 2 and Figure 3. Of course, there are exceptional cases, where there are people with calm brain wave, yet they do wrong or misdeed. There are murderers, snatchers, and gamblers, yet they love to listen classic music. These people are affected by mysterious wave, thus, they need PYRO-ENERGEN treatment to keep their brain wave steady. We learned that most patients enjoy listening music while they were being treated by PYRO-ENERGEN. And there we understand that lifestyles of patients depend on the music they enjoy. In other words, it is your brain that will determine success or failure in life. It is your brain wave that will lead you to success or failure. There are people who are rich but unhappy. This is considered "UNSUCCESS". There are people who are poor but their lives are happy with their family. This is considered "SUCCESS". Since I learned the above mystery several years back, I advise my friends to listen classical music more, especially those composed by Wolfgang Amadeus Mozart (1756-1791), an Austrian-born music writer. Musics of Beethoven, Bach, and Tchaikovsky are also very good rather than listening Jazz and Pop, if you really want to be successful in life. Of course, there are many successful people who love to listen Jazz and Pop musics, but almost all of them failed to keep their success until the end of their lives. Furthermore, I know that this is not only a factor to success in life. There are people who do not love to listen any music, but they remain successful and in peace. Normally, these persons are with calm brain wave. Believe me, this is a very amazing factor. Whatever it is why don't you start from PYRO-ENERGEN treatment, and listen to the classical music from today. Note: This brain treatment listening classical music has nothing to do with your life span. 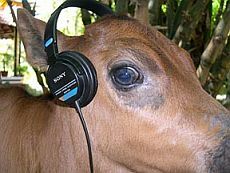 Just to prove the above, dairy cows produce more milk when listening to relaxing classical music, which you've heard, haven't you? 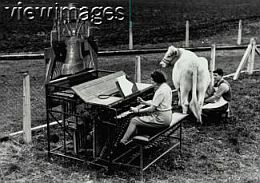 They believe farmers could get an extra pint from their charges by playing classical music or smoochy numbers in the cowshed. Even plants such as tomatoes, strawberries, and potatoes show good results of harvest. Of course, they tried Jazz and Pop including several single frequency tones, too. However, classical music was the top of all others. It is not that they enjoy this music; we believe that it is a certain frequency sounds that may have something to do with brain or replacement of cell mechanism or stress mechanism, just like brain washing or brain stabilizer. Oh, yes, plants are also stressed. Use PYRO-ENERGEN and listen classical music from today. You may reach to the top of success soon in the future.